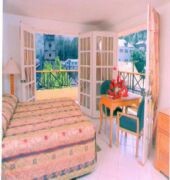 The Downtown Hotel is nestled with an eclectic synergy of cultural heritage and pristine environmental collages known as Soufriere. Branded as the gem of St. Lucia, Soufriere boast a fusion of sandy beaches, natural harbors, coral reefs, rainforests and The Diamond Falls. 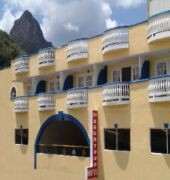 The world%u2019s only drive in volcano- the Sulphur Springs and the majestic twin Pitons have been designated World Heritage Sites.The Downtown Hotel was not only designed to blend in with its natural structural environment but also built with the concept of %u2018a home away from home%u2019 in mind. 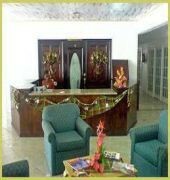 This concept is evident in our medley of 18 welcoming rooms, coupled with our cadre of personable employees and local people; world renowned for our hospitality. As we grew in the knowledge of you, our clientele, our design scheme was tailored to match your needs. Whether you%u2019re in town for business or relaxation, there is always time for a quick but pleasurable get away.